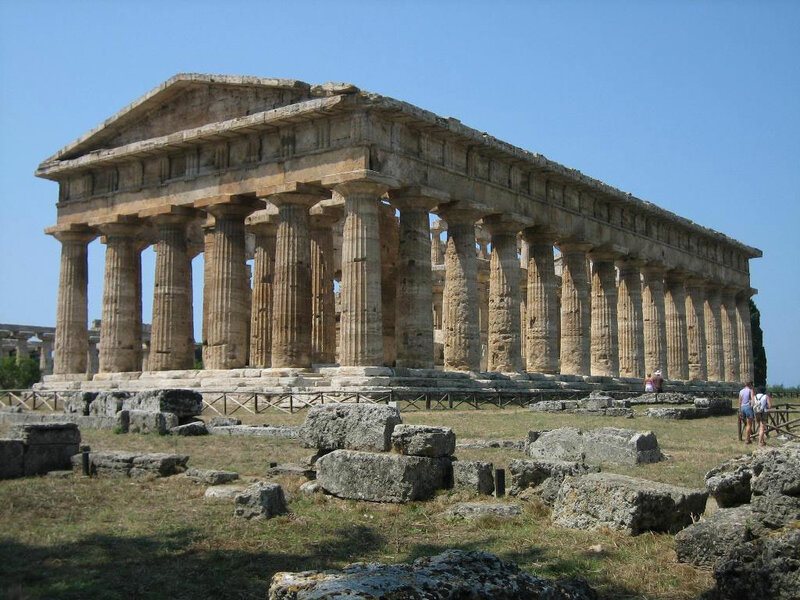 But Campania’s real secret is located South of Salerno, and immediately south of the wonderful Greek temples of Paestum. 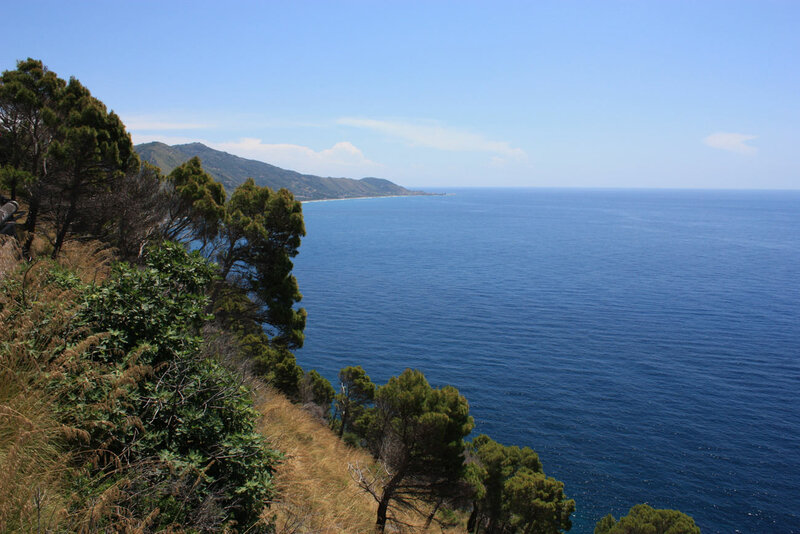 Here the coastline bulges out into an expanse of mountainous landmass known as Cilento, now a National Park with World Heritage listing. 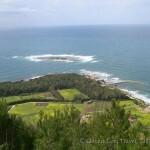 The Cilento coast is fairly rocky territory, with the shoreline lapped by a crystal sea. 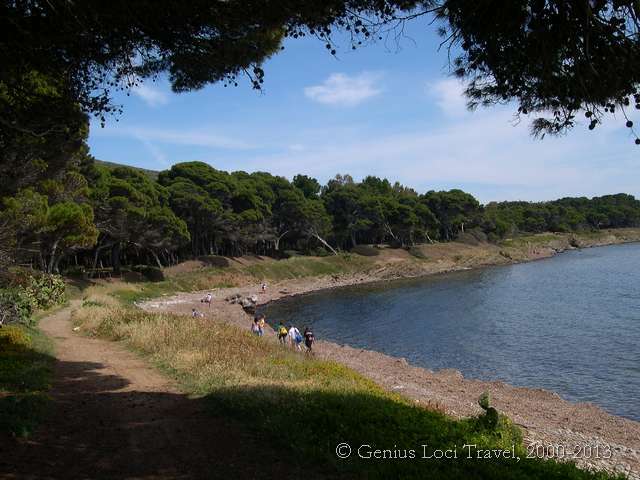 There is a wild kind of beauty here; rocky ridges set between small picturesque inlets and richly scented pinewoods backing onto wide sandy beaches. 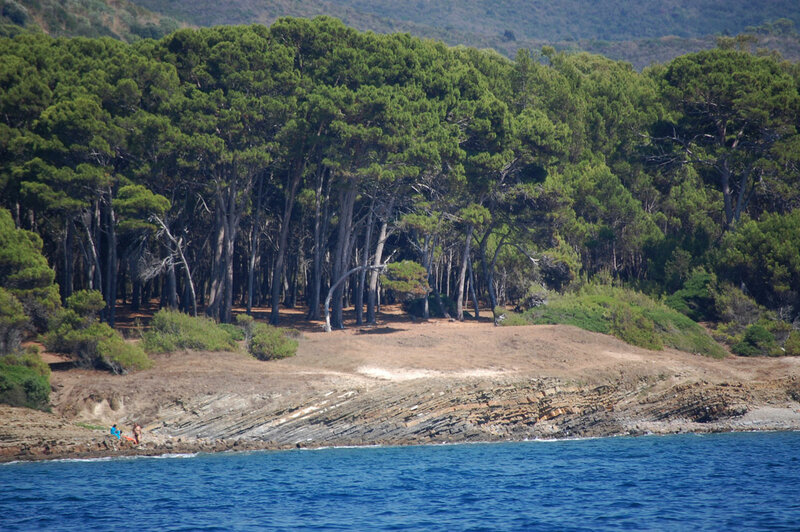 Aleppo pines loom over multicoloured undergrowth of myrtle and prickly pear; whilst huge, centuries old, olive trees grow right down to the shore. 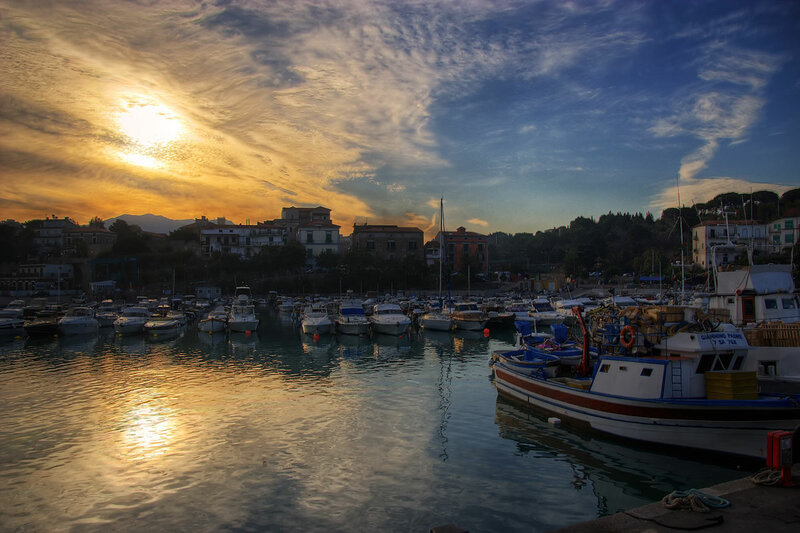 Inland the Cilento is largely undisturbed by the 21st century and we enjoy visiting mediaeval and quaint fishing villages where the traditional way of life is still evident. 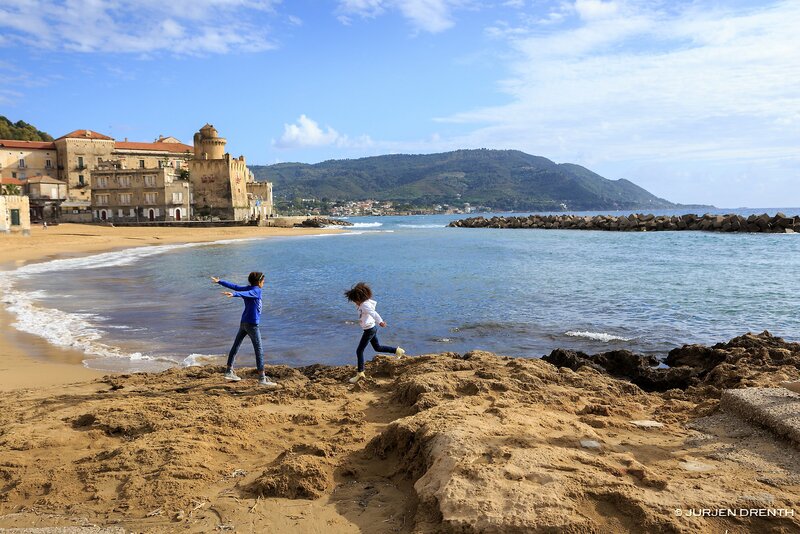 A large part of the tour is along the coast, but you walk as well through pristine natural areas and attractive countryside, with all its cultural treasures like rural chapels, ancient farm houses, old water mills and charming medieval villages. 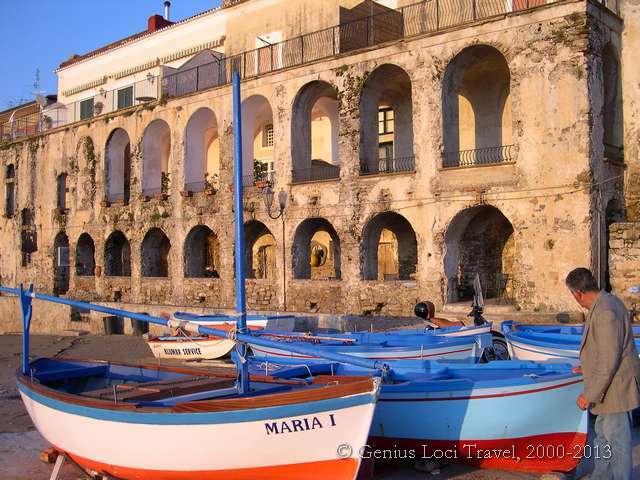 During the tour you also visit some of the nicest old fishing villages, like Santa Maria and San Marco di Castellabate, Marina di Camerota and Acciaroli. 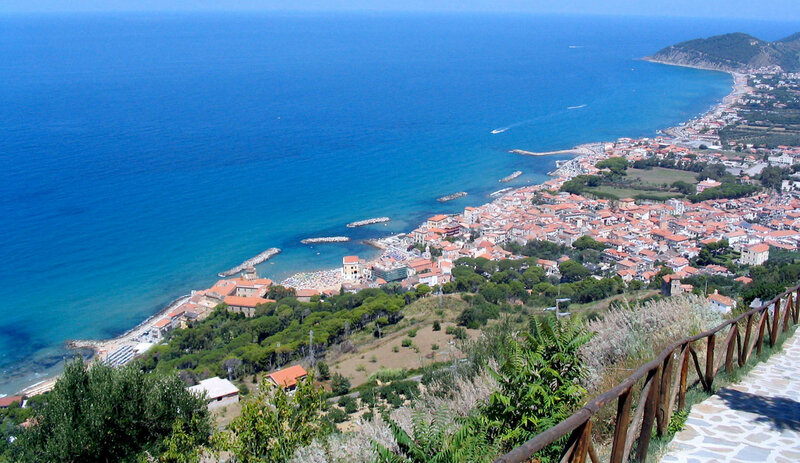 Directly from the hotel you start a circular walk passing through typical Mediterranean maquis into the area of Monte Licosa. 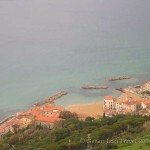 The headland of Licosa is the point where Cilento mostly reaches out to sea, like a miniature reproduction of Monte Stella peninsula. It is full of marine charm, a place where the sea-breeze makes the trees ‘dance’, bound to Ulysses’ myth: people say that the siren Leucosia drowned herself here for the sake of Ulysses. 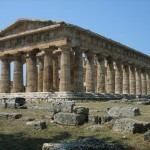 This myth and the marvellous landscape make this area a really enchanting place to visit in every season of the year. 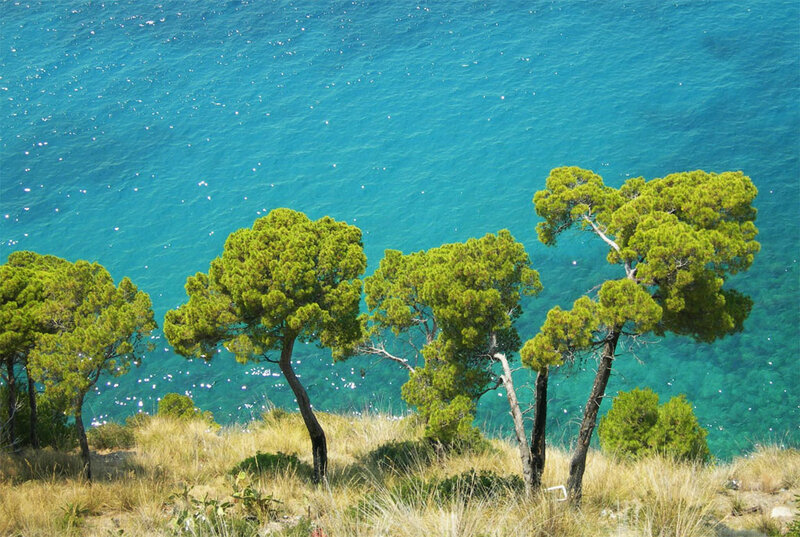 In wintertime the clear sky offers you superb views over the Amalfi Coast and Palinuro, in springtime the flowering brooms cover the hill with golden yellow and during the summer you can swim in a very clean sea. 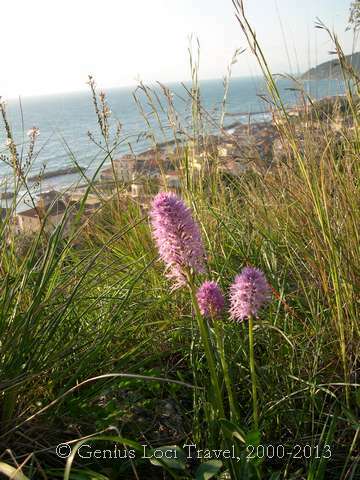 In autumn the sea-temperature is still warm and on clear days you can take relaxing walks. You first walk up through the pine forest, until you come to the ridge. 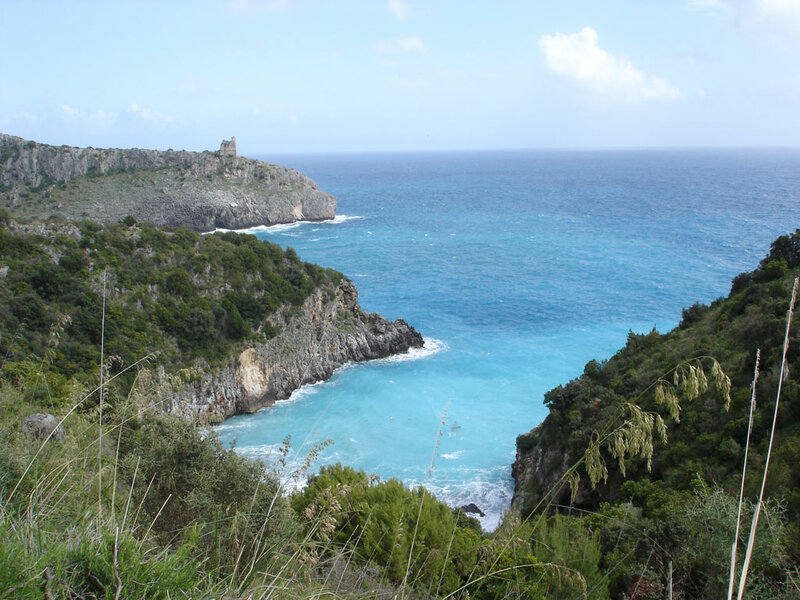 Along the ridge there are several watchtowers, from where you can observe the whole area, both the coast and inland. 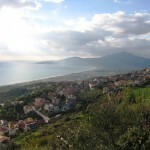 With a bit of luck you might be able to have superb views over the whole bay of Salerno and even Calabria! 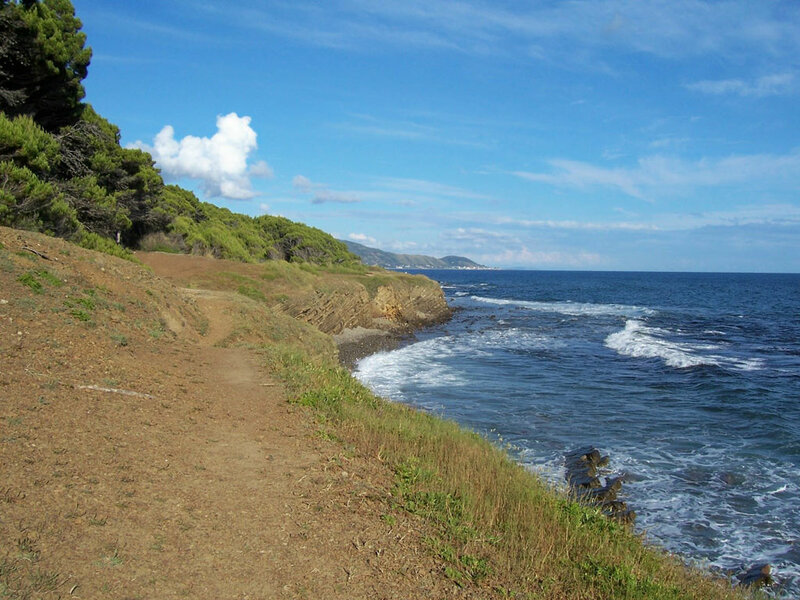 Through a pleasant agricultural landscape you descend to the coast at Ogliastro Marina, and from here you follow a coastal trail to the very point of the headland. Also here along the coast you see the ruins of several watchtowers and you will be caught by the magic of the dancing trees. Of course there are several possibilities for a swim. 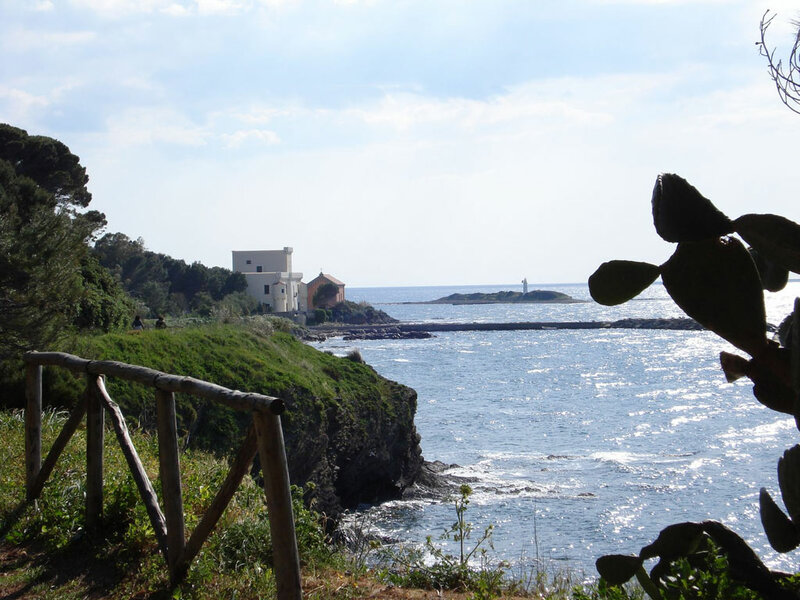 From Punta Licosa you then continue along the coast, and a beautiful path brings you back to the nice harbour of San Marco. 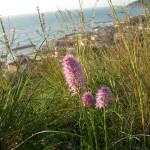 In the evening you are free to arrange your own dinner from a wide choice of restaurants in the near surroundings. 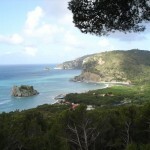 From San Marco you’ll be picked up by your private taxi for the transfer to Palinuro, where you can leave your luggage at your hotel and then start a great roundwalk. 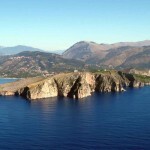 This walk starts directly from your accommodation, and brings you onto the mythical promontory of Cape Palinuro, named after one of the mates of Aeneas who drowned here. 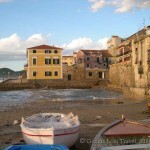 From the little fishermen’s harbour you walk up to the light house on top of Capo Palinuro. 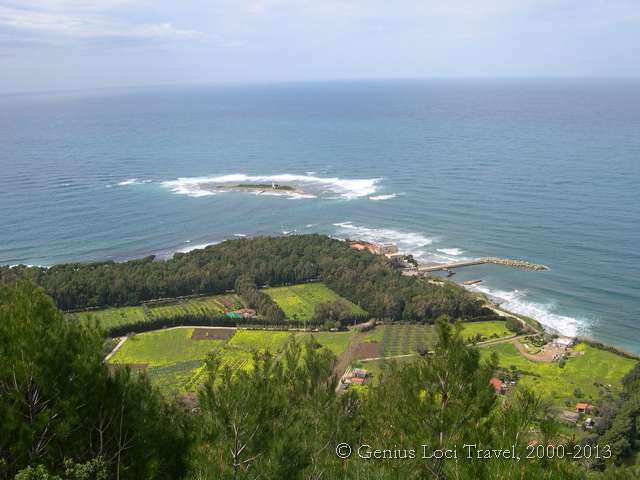 You will walk through shady pine woods and fragrant Mediterranean shrub lands along well maintained paths and gravel roads. 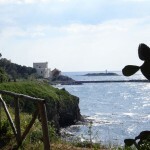 From the light house you enjoy a magnificent view on the village of Palinuro and the Cilento Coast and part of the inland, with views reaching as far as the headland of Punta Licosa and Monte Stella. 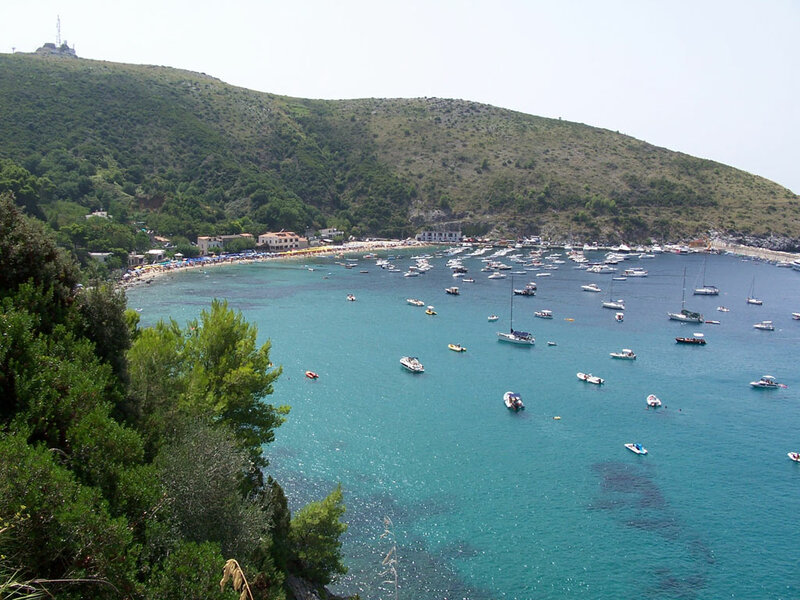 You then descend to the beautiful sandy beach of Marinella, a favourite among locals, where you can have lunch and a swim. 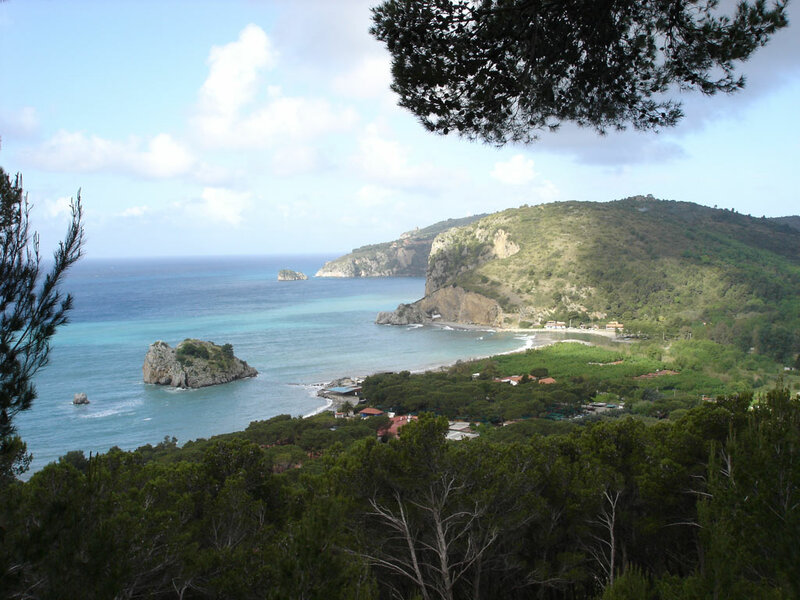 Strong walkers may consider extending the Capo Palinuro walk to include the Molpa Hill, on which you’ll come across the ruins of a medieval castle, from where the view over the surrounding area is stunning. 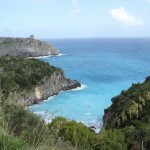 Also could you continue to the Arco Naturale, making this into a whole day excursion. 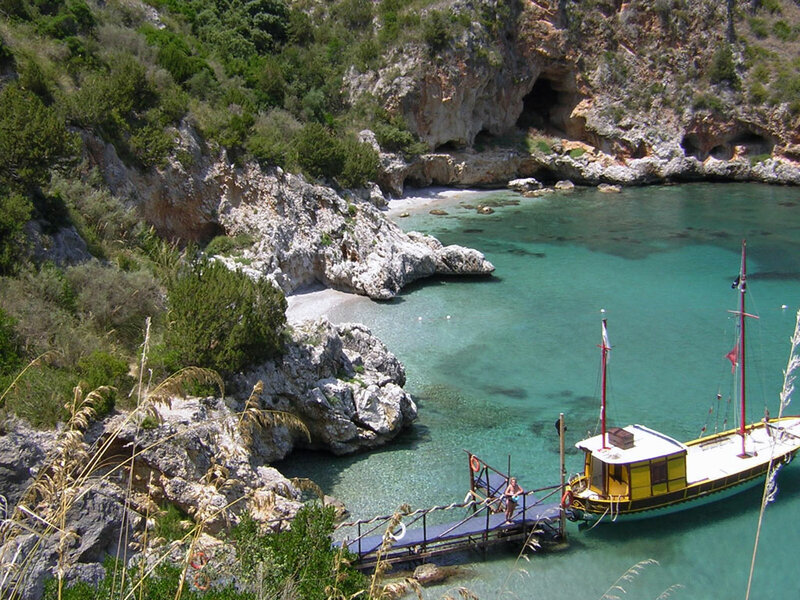 But of course you should also consider to take a boat tour to the beautiful ‘Grotta Azzurra’, perhaps not as famous as the one in Capri, but arguably more beautiful (and definitely less costly & less touristy!). Hotel*** in Palinuro – BB. N.B. 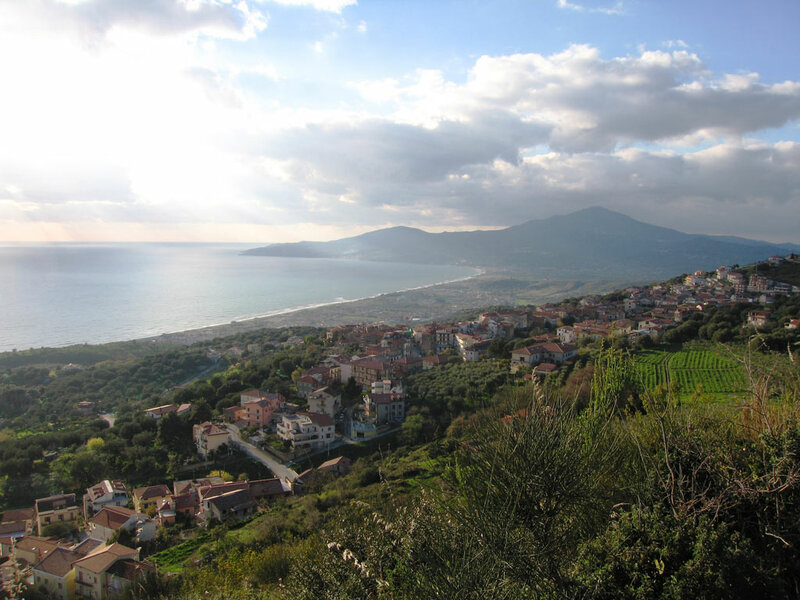 In case you want to visit the excavations of the Greek city of Velia and do a beautiful roundwalk there, you can do this today – and travel on to Palinuro in the afternoon. Then we’ll book an extra night for you in Palinuro. 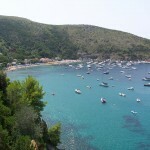 Today you’ll head for your next accommodation, in the charming seaside village of Marina di Camerota. 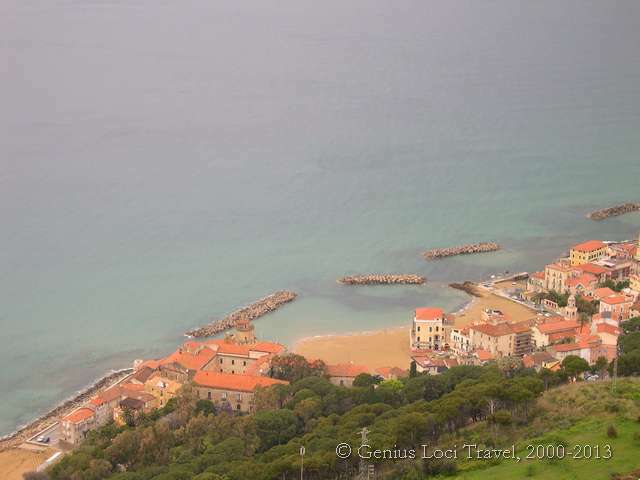 Straight from your accommodation you first walk a short stretch through olive groves and along the river, then you start climbing up into the first hills above the coast between Palinuro and Marina di Camerota. 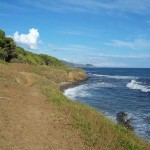 This is a beautiful walk, with great views over the blue Mediterranean. 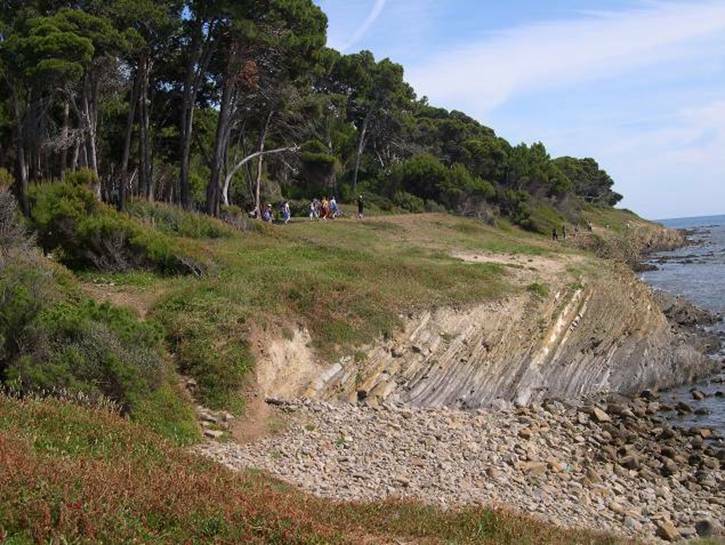 You’ll walk partly through forest and Mediterranean scrubland, partly through farmland. 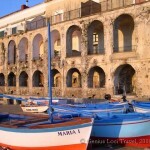 You walk along the ruins of old farmsteads and past the medieval chapel of Sant’Iconio. 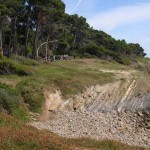 Along a stunning trail you descend back to the coast again. 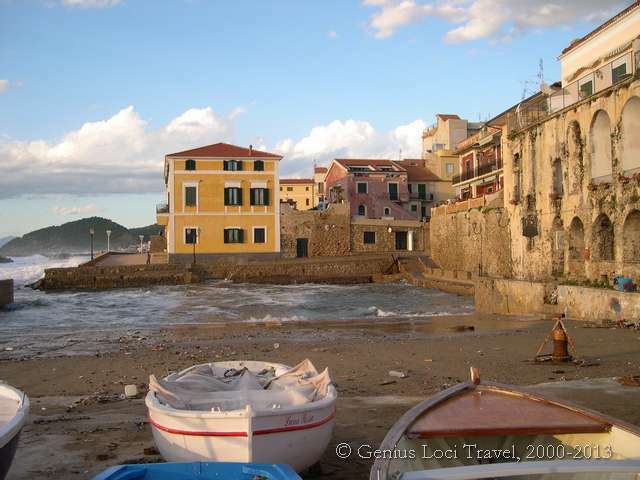 The last stretch to the charming village of Marina di Camerota is along the coast again. 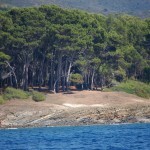 There are several nice beaches in isolated inlets, so perhaps there is the option for a swim. Or you can opt to go for a stroll in the village itself, with its clear South American influence. N.B. 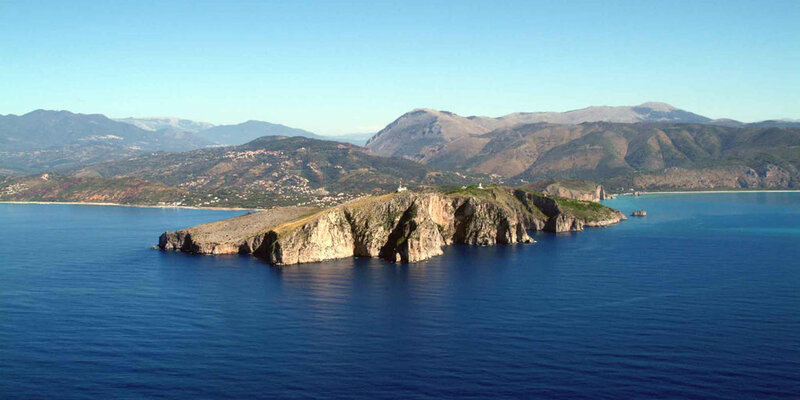 For those who want to enjoy some more of the stunning scenery of Capo Palinuro – and perhaps want to visit the famous ‘Blue Grotto’ (Grotta Azzurra) and take the time for a swim on one of the great beaches – it is recommended to integrate this tour with an extra night in Palinuro. Prices on request. After breakfast you are brought to the train station. 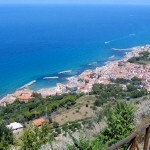 From here you return by train to Naples (centre or airport), Salerno (the gateway to the Amalfi Coast) or Rome. Night 6: For one night you’ll stay in Palinuro, in a nice 3-star hotel right in the centre of town or (on request) in a beautiful 4-star sea side hotel with a private beach. 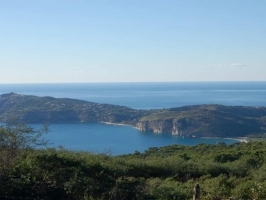 Night 7 & 8: The last nights are spent in a comfortable ‘B&B’, or good 3-star hotel in the small coastal town of Marina di Camerota, gateway to the unspoilt ‘Costa degli Infreschi’. 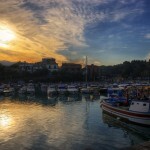 Departure: The tour ends after breakfast on day 9 in Marina di Camerota. A short transfer brings you to the station (included), from where you travel to your next destination (Naples, Salerno or Rome can all be easily reached. Several taxi services are available to bring you directly to your next destination. 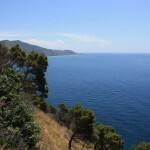 This tour shows you the best parts of the Cilento Coast – those parts which are actually accessible on foot. 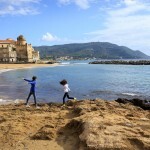 There are plans for a continuous walking route all along the coast of the Cilento National Park, starting in Paestum/Agropoli and ending in Sapri, but unfortunately there are still many ‘missing links’. 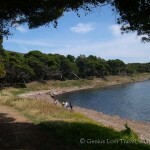 If you are interested in walking this coastal route already in 2019 (a first part of this route, already described in the Monte Stella Walking Guide is mostly feasible), please contact us. We will be happy to advise. 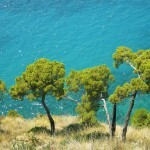 Southern Cilento Explorer – which provides you with a full immersion in the beautiful southern part of the Cilento. 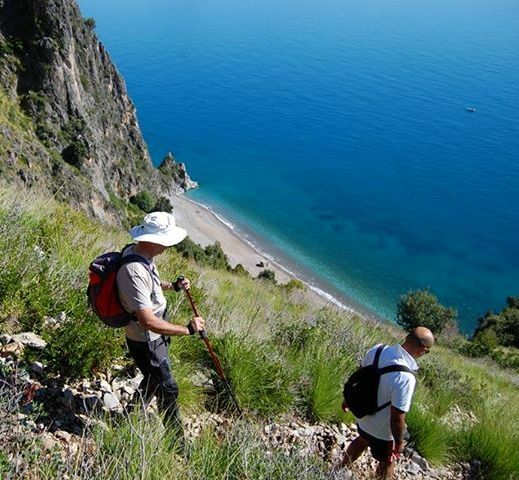 This tour includes not only the coastal walking, but also some great hikes through the charming villages, olive groves and mountains more inland.